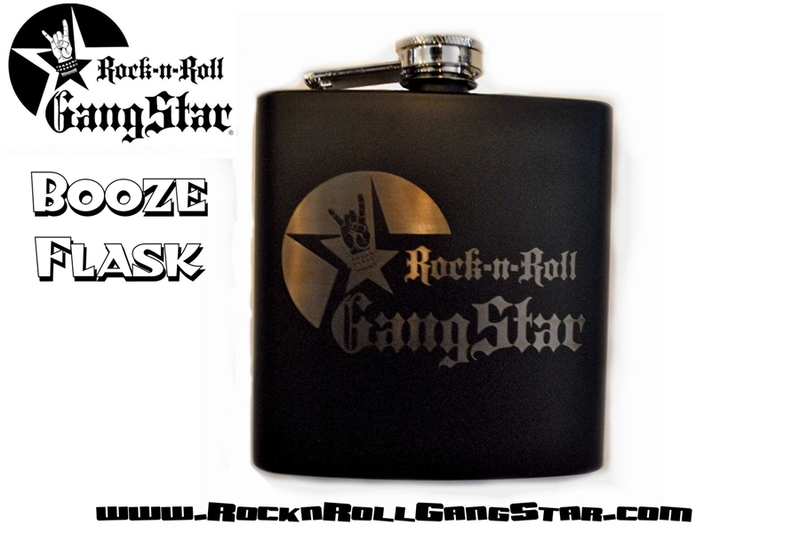 Rock-n-Roll GangStar killer laser engraved Booze Flask. Fill it with your favorite alcoholic or non-alcoholic beverage & party with the RRGS Crew! 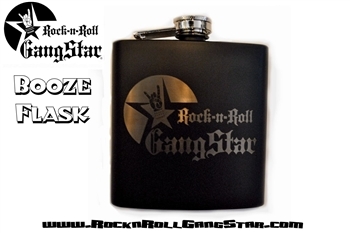 Disclaimer: Rock-n-Roll GangStar does not condone drinking & driving under the influence of alcohol. Be safe & find a designated driver.